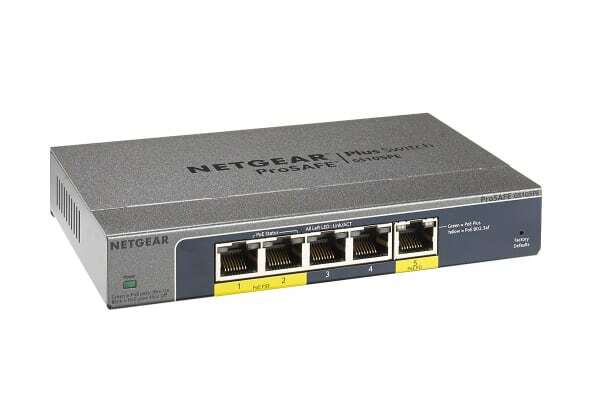 Optimise and add intelligence to your network with Netgear’s ProSafe Plus 5-Port Gigabit Switch with 2 PoE Ports. Meet the growing need of your network with the NetGear ProSAFE Plus 5-Port PoE Gigabit Switch. It offers VLANS, QoS and IGMP Snooping, plus PoE ports to optimise the performance of your network with simple plug-and-play connectivity for instant connectivity. This product requires PoE input power (802.3af or 802.3at) to operate; it has no means to power from AC.